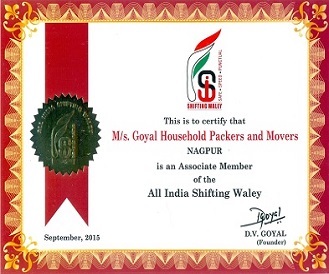 Goyal Household Packers and Movers provides total relocation solutions in all cities in India. Packers and Movers in Nagpur Movers and Packers Nagpur Car Transportation Nagpur Car Packers and Movers Nagpur. As a reputed packers and movers we offer our best services across the country. Goyal Household Packers and Movers aims to provide perfection in each area of our services from packing and moving services, household relocation, packers movers services of goods, loading, unloading till final delivery at your doorstep. We provide fabulous packaging services, keeping the worries of our customers at the bay. All packing is done under the supervision of company's experts. We always make sure, and it is our prime concern, that all the goods are well packed and that they do not run the risk of being damaged in the least.We believe in safe and trouble free home and office shifting services so that our valuable customers get their loving goods as it is at their new destination. We transport car (four wheeler movement / car movement due to transfer of employee as part of complete solutions to packers and movers services in India) all over the country. We always ensure cost effective and personalized services to our customers. Over the years we have gained quite good knowledge of our customers' needs and hence we are one of the dominating market players. Providing safe and reliable services is our prime concern. We take care of your every single movable, for which we offer fast and reliable packing services that include both industrial and household goods. Following are the services we offer to our customers. Goyal Household Packers and Movers promise safe packaging, packers and movers (Packer’s mover’s services) with timely transport of your goods. We offer door-to-door transportation services of goods including household goods, home goods, home furniture, office relocations, industrial machinery, household items, furniture, commercial goods and other items. We ensure tension-free delivery of your goods. When you are looking for cost effective and reliable packers and movers in your city for household transport or official shifting services, think of Goyal Household Packers and Movers. Loading and Unloading services are a part of packers and movers services. Packing is done to the goods before loading to the transport vehicle at the origin and unloading of goods is done at destination. Unpacking and rearranging is done post unloading; all these works are performed always done under the guidance and supervision of our team of experts. We are committed to providing time-saving and safe loading and unloading services. We also ensure not to damage the goods in the least. Our packing and moving services are available in Nagpur, or Packers and Movers from Nagpur to Pune, Kolkata, Poona, Raipur, Chandrapur, Akola , Amravati , Chhindwara, Wardha, Yavatmal, and many cities are getting added. 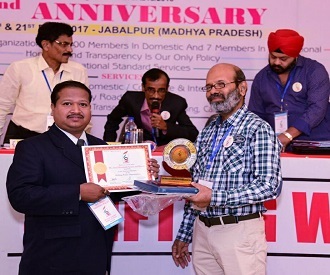 We are associated with All India Shifting Waley, more than 125 cities in India are covered by us for the renowned services for Packing and Moving, Car Transportation, Household transportation services. All the packers and movers associated with the group are certified for their experience and excellence. We all are committed for timely and safe services all over India. You can find us at various search engines like Google / Yahoo as packers and movers, transporters and car transport, relocation service providers with zonal offices in Nagpur, Pune, Raipur, Chandrapur, Gondia, Bhandara, Tiroda, Mouda, Akola, Amravati, Chhindwara, Wardha, Yavatmal, Umred, Vani, Warora, Jabalpur, Seoni etc.